1628103086 –New CasebookPlus book purchase, or eBook & Learning Library purchase, includes complimentary digital access to the accompanying 2017 Supplement, when available. 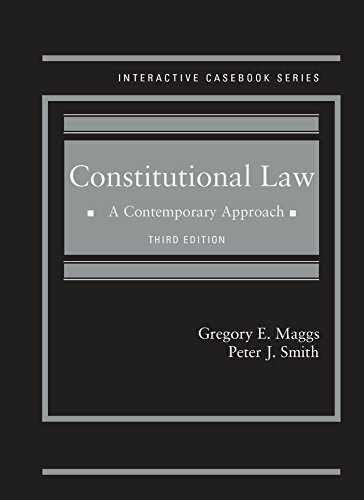 The third edition of the casebook, which is suitable either for a one- or two-semester course, strives to make constitutional law easily teachable and readily accessible for students. The authors have selected the cases very carefully and provided extensive excerpts of the opinions so that students get a good sense of the Court’s reasoning. Text boxes call the students’ attention to important aspects of each opinion, and the book is filled with introductions, points for discussion, hypotheticals, and executive summaries. The authors present a diversity of views on every subject, and, reflecting some of their own disagreements, the authors have written point-counterpoint discussions on many disputed questions.